SAN FRANCISCO—July 23, 2013—Salesforce.com [NYSE: CRM], the world’s #1 CRM platform, today launched the new Salesforce Chatter Mobile, helping employees make every moment count. With the fourth generation of Chatter Mobile, employees will be able to edit records, view dashboards and take any business action. New actions in Chatter Mobile are fully customizable and allow companies to extend custom business processes to make mobile employees more productive in every micro-moment. 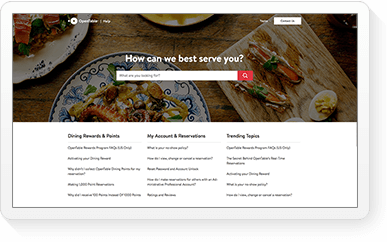 More than 100,000 customer companies, such as Brown-Forman, Design Within Reach, Kelly Services and Vodafone Australia, will use every moment to sell, service, market and more in entirely new ways. • “Chatter Mobile has been completely redesigned to help every knowledge worker be more productive and make every moment count,” said Nasi Jazayeri, EVP and GM Salesforce Chatter, salesforce.com. “By putting the power of custom actions and dashboards on mobile devices, salesforce.com will help companies take employee productivity and customer interactions to a whole new level.\"
• \"Mobile is about computing at the time and place of the individual's choosing. It is becoming the point of entry for all applications, delivering personalized, contextual experiences—producing ‘magic moments’ for the customer.\" Gartner, The Nexus of Forces Changes Everything Gartner Symposium ITxpo 2012 Keynote, January 10, 2013. Today, knowledge workers are increasingly working in micro-moments across multiple mobile devices and form factors. Consumers have the apps that allow them to quickly take actions from their mobile devices—they can find a restaurant and make reservations with Yelp, they can hail a cab using Uber and with Bank of America’s app, they can deposit a check in minutes. In the business world, employees can access email and calendars or check the news, but they have not had easy to use, customizable enterprise mobile apps that allow them to be productive away from their desks. According to a presentation from the Gartner AADI Summit, “Mobile and Social: Major Drivers of Your Web,” August 14-15, 2012, employees, on average, are on their smartphones 19 times a day for 1.2 minute sessions (note: source of data is from Gartner case study with a mobile sales force). Employees can consume information on these smartphones in micro-moments, but what if they could take valuable business actions and drive productivity across sales, service, marketing and more in every micro-moment? New Chatter Mobile is the world’s first social and mobile application that will allow employees to take any business action instantly, from anywhere. Built on the world’s #1 CRM platform, Chatter Mobile will enable employees to view dashboards and edit records in real time to be more productive on the go. 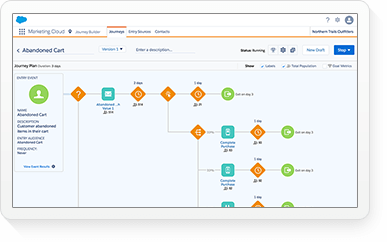 With the new customizable publisher, companies will be able to create actions that empower employees to perform custom business activities, as well as key sales, service, marketing or collaboration actions. Now, employees will get valuable work done in every micro-moment—all from the Chatter feed. • Edit Any Record: Updating critical business information should not wait until employees are back at their desks, they need to be able to act in real time. 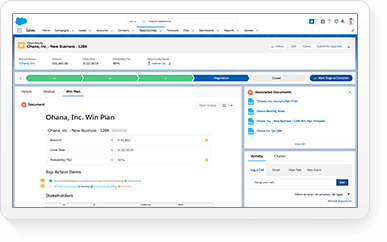 Now employees will be able to edit records—account and sales opportunity information, customer cases, marketing campaigns or any other type of information in Salesforce—directly from their mobile devices. Employees will get valuable work done in every micro-moment—whether they are in line for coffee, boarding a flight or in a cab heading to a customer meeting. 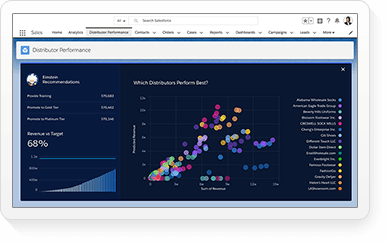 • View Dashboards: Dashboards are a sales rep’s window into accounts, a service agent’s connection to a customer and a marketer’s view of the success of a campaign. Now employees will be able view dashboards, prioritize tasks and act on intelligence in real time to stay on top of quota status, account activity or campaign milestones from their mobile devices. • Take Any Custom Action with the Publisher: With the redesign and extension of the publisher, Chatter Mobile shatters the status quo of productivity. Companies will be able to create a custom action for any business scenario—log a support request, create a work order, approve a candidate or create an invoice. 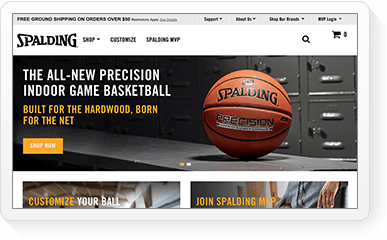 In just a couple of taps, employees will be able to advance any sales, service, marketing or custom business action on the spot, from their mobile device. According to a recent salesforce.com sponsored survey, salesforce.com customers have increased overall productivity by an average of 29 percent and increased sales productivity by an average of 32 percent with the power of mobile. 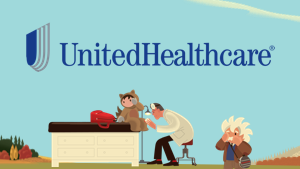 Salesforce.com has doubled down on mobile in 2013 and unveiled continuous innovation to enable more than 100,000 customers companies, such as Brown-Forman, Design Within Reach, Kelly Services and Vodafone Australia, to use every moment to sell, service, market and more in entirely new ways. 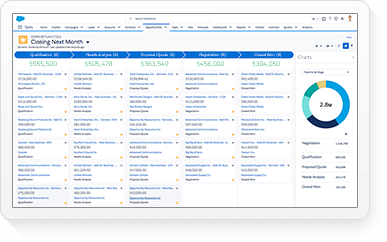 • Salesforce CRM: Salesforce Service Cloud Mobile, the industry’s first mobile co-browsing, mobile community, mobile chat and touch-based agent interface technology is designed for optimal customer service on any device. 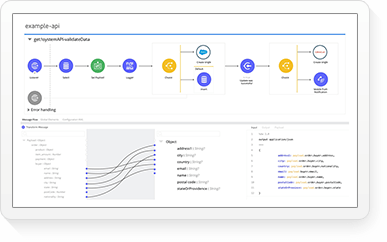 • Salesforce Platform: New Salesforce Platform Mobile Services delivered the only mobile platform for the enterprise that combines industry-leading tools and frameworks with real-time customer data to provide engaging mobile experiences. 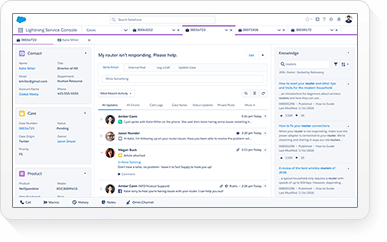 • Salesforce Chatter: Salesforce Communities, built on Chatter, put social and mobile at the core of every community, ending the era of legacy portals. 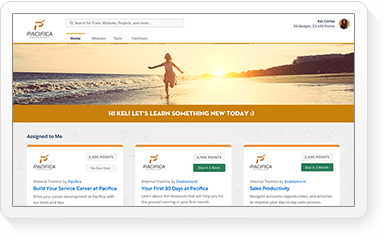 Salesforce Company Communities reinvented the intranet for the social and mobile era, enabling businesses to deliver a custom intranet that connects employees to the content, people and apps they need to be successful anywhere, from any device. The third generation of Chatter Mobile gave companies ability to access, create and act on customer information—all in the Chatter feed, from any mobile device. • Salesforce Chatter Mobile is generally available today on all iOS devices and Android phones, and included with all Salesforce editions. 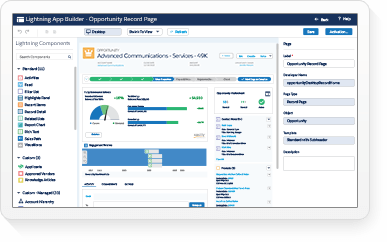 • Salesforce Chatter Mobile view dashboard, edit and custom action capabilities are expected to be available on all iOS devices the end of July 2013, and on all Android phones in the fourth quarter of 2013. • Salesforce Chatter Mobile is free for all salesforce.com customers. • Salesforce Service Cloud co-browsing is expected to be generally available in the first half of 2014. Pricing for co-browsing will be announced at general availability. 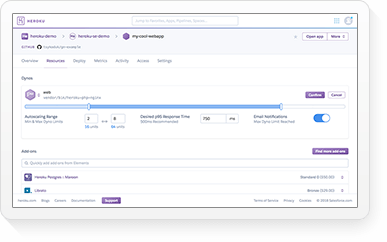 • Salesforce Service Cloud Mobile is generally available today at no additional cost for Service Cloud Enterprise and Unlimited Edition customers. • Salesforce Service Cloud Mobile chat is generally available today. It is priced at $50 per user per month for Service Cloud Enterprise and Unlimited Edition customers. • Salesforce Platform Mobile Services are generally available today at no additional cost at http://www.salesforce.com/platform/mobile/. • Salesforce Communities is generally available today. Pricing for Salesforce Communities starts at $500 per month. • Salesforce Company Communities is expected to be generally available in the second half of 2013. Pricing for Salesforce Company Communities will be announced at general availability.